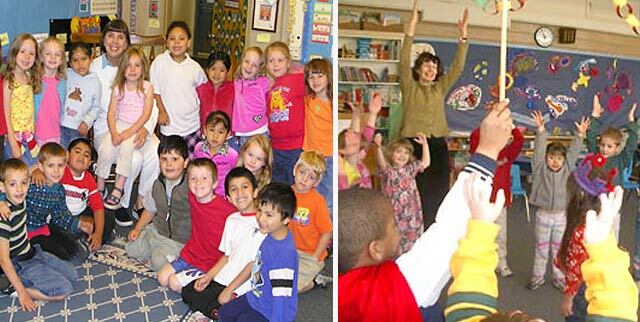 Bring joyful learning to your classroom and experience profound literacy gains. 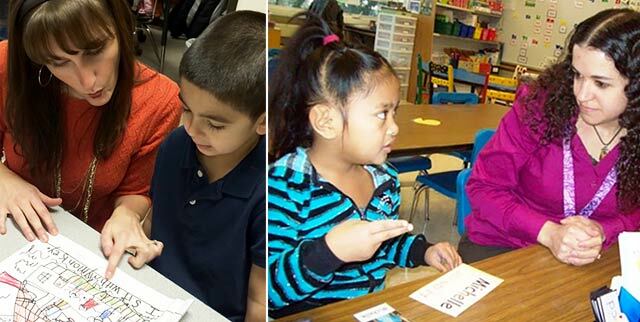 Observe master teachers and students in real kindergarten classrooms. 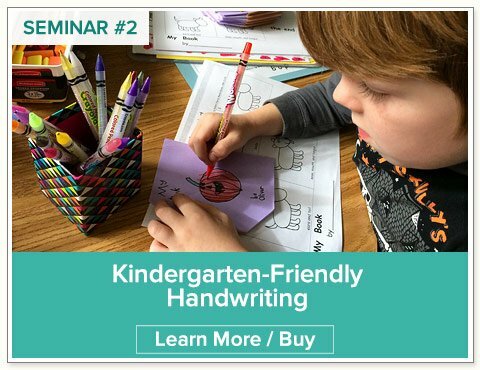 This teacher-friendly site is designed to extend the joyful, accelerated literacy strategies shared in our Online Seminars and live writing workshops. 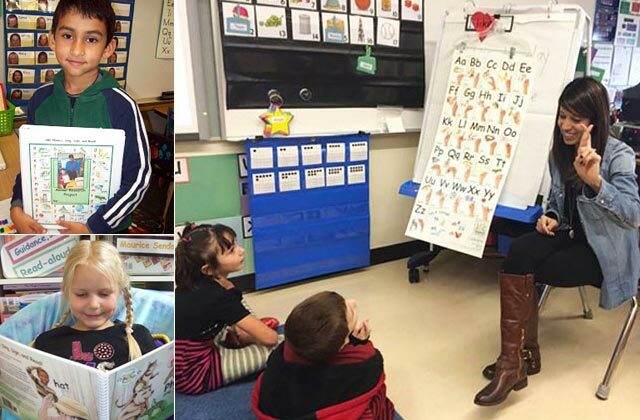 Here we honor master teachers who create high engagement in learning—infusing meaning centered literacy with music, art, drama, dance, play, and sign language. 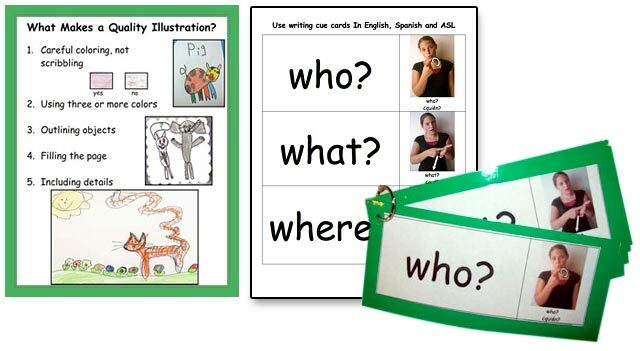 Enjoy a plethora of free resources that support excellence in early literacy. They’re all designed to help you celebrate language and honor childhood by taking advantage of how the brain learns best. 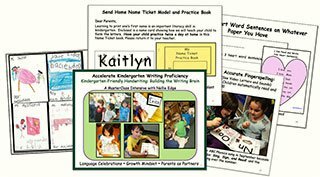 Download over 200 favorite poems, rhymes, songs, and chants for student “I Can Read” Poetry Notebooks. Memorize, recite, illustrate, and read delightful language. 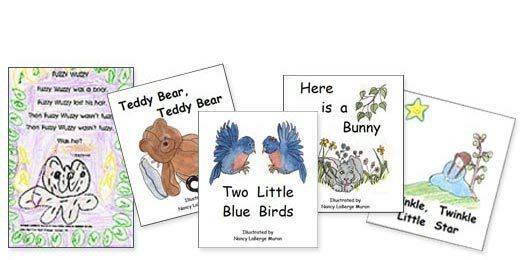 Nellie Edge Read and Sing Little Books™ to expand the library for your emergent and independent readers. 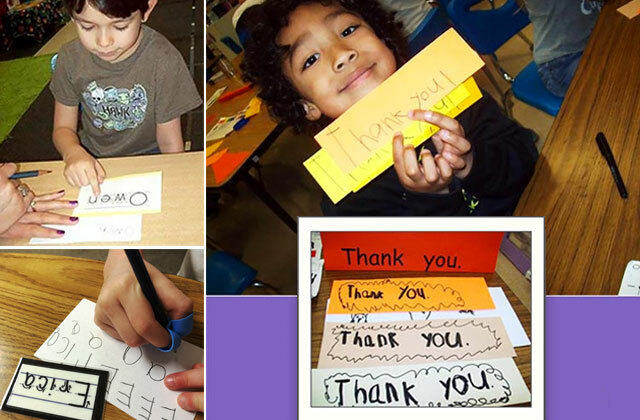 Explore our joyful literacy strategies, lessons and resources! 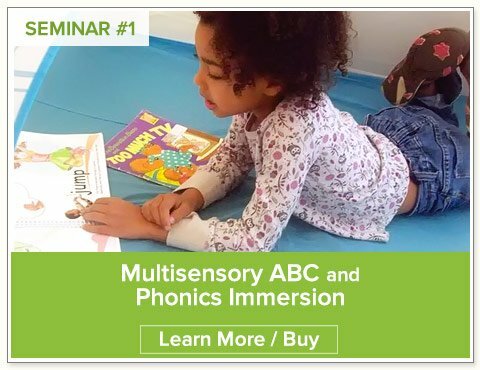 Explore strategies for multisensory ABC and Phonics Immersion. 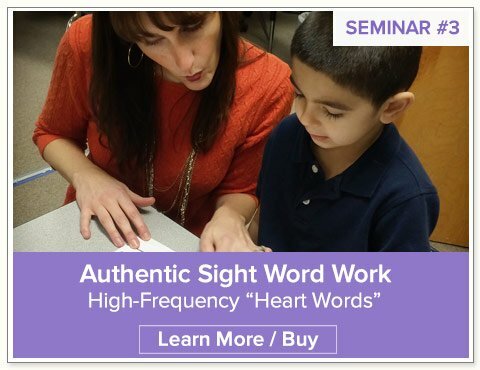 Children, both native speakers and English language learners, quickly build comprehension and letter/sound knowledge using this authentic literacy program. 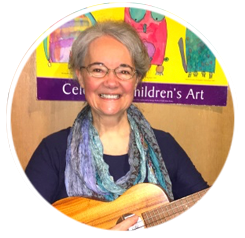 Building phonics—and life skills—by singing, signing, and reading is elegantly simple and joyful! See the strategies, resources and lessons. 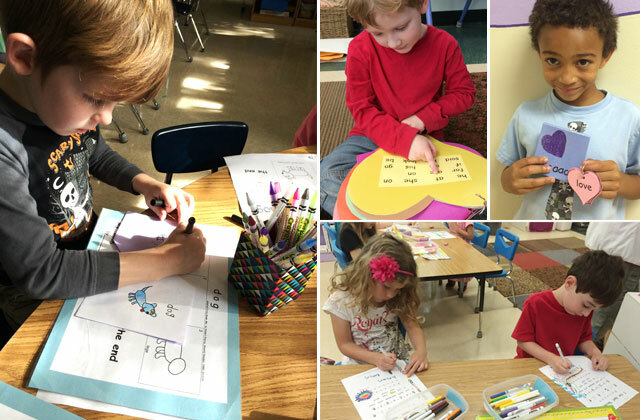 A multisensory, integrated approach to handwriting is the most time-efficient, cost-efficient, and brain-friendly way we know of to plant habits for good handwriting—because handwriting matters! See strategies, resources, and lessons. 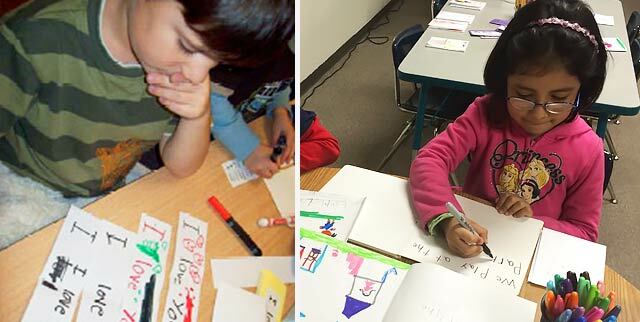 We call these “heart words” because we learn them by heart, and they let us write heart connecting sentences. WOW! All these excellent resources at our finger tips! This is like Christmas for kindergarten teachers! I just completed the first seminar. It has been wonderfully done. I truly enjoyed it. Nellie, through your seminars, both online and in person, I feel I have become a more effective teacher. Thank you for that. Nellie, thank you for creating these online video seminars! What a great way to connect throughout the school year. It is always powerful and motivating to be a seminar participant, but the availability of your videos will be an amazing resource for teachers. I watched your videos and I love them. Your passion for teaching is contagious. © 2016 Nellie Edge Seminars and Resources. All rights reserved. Reproduction without permission prohibited.